The policies and direction of the SMN, are the responsibility of a Board of up to twelve Directors. The directors are chosen by being recommended by subscription members of the SMN at their members AGM, which takes place at the Annual Gathering in July. The Board then ratifies new directors. Board meetings are also attended by the Network Manager, Company Secretary, Treasurer, Programme Director, and Communications and Fundraising Manager. The SMN is a charity which was founded in 1973, and then became a charitable company limited by guarantee, at the beginning of 2004. Paul lectures in personal and professional development, entrepreneurship, electronics and business management, predominantly to postgraduates at the University of Plymouth, after having been a research physicist for many years. His current research is in creativity and break-through problem solving both for the individual and organisations. He gives talks around the world and is a regular judge for international innovation competitions. He also runs an educational consultancy. He always looks for opportunities to incorporate the spiritual aspect in his research talks, workshops and teaching. He has a very great interest in all areas of education and with his wife Catherine, jointly ran the original Network student ‘Wider Horizons’ course, for many years. He has been active in the Network for over forty years, since meeting George Blaker and Peter Leggett as an undergraduate, and attending the very first Wider Horizons course. A few years later he became a trustee of the SMN, at George Blaker’s request, and has been until summer 2015, when he switched roles to be chairman. Richard Irwin is an entrepreneurial and professional director, consultant and IT Due Diligence practitioner with a passion for reconciling science with spirituality (see danceineternity.com), who also composes and arranges music (see hymnswithoutwords.com). Richard was an Internet pioneer in the 1990’s, writing what was possibly the first on-line hotel reservation system in 1995. The technology he built was used by companies such as Travelocity and Lastminute.com for hotel availability for many years. Since 2005 he has worked as a technology due diligence consultant providing strategic reviews of company ICT systems and technology. Richard has responsibility for driving forward the SMN’s new web strategy. George Blaker, a founder of the SMN expressed the purpose of the organization : To win greater acceptance by science and medicine of man’s spiritual essence; to show that this is wholly consistent with current knowledge of the physical chemistry of his physical body. For many years this has been my life work, expressed through my writing and lecturing. I hold advanced degrees in Astronomy and in Geophysics. For twenty years I worked in the oil and gas industry as a specialist of the Earth’s gravity and magnetic field. Other interest are the human biological field, the Gaia Theory and Gnostic Christianity. I am also a practitioner of non-contact healing and live in Aberdeenshire on four acres which is becoming a lush bio-diverse garden. I am the co-author (with Andrew Glazewski) of Harmony of the Universe and science fiction novels Gaia’s Children and Immortality Machine. Currently the Web Content Editor for the SMN website and co-editor of the Network Review. For more information see my website: paulkieniewicz.co.uk. Dave is a third year graduate medical student at King’s College London with a research interest in non-ordinary states of consciousness and psychedelic-assisted psychiatry. He completed his undergraduate degree in Medical Anthropology at the University of Kent in 2011. Dave is a founding co-director of Breaking Convention and programme chair for their biennial international conference on psychedelic consciousness, as well as the founding President of the King’s College Society for Psychedelic Studies and commissioning editor of the Psychedelic Press journal. He co-directs the Public Engagement Programme in Drug Assisted Psychotherapies at the Institute of Psychiatry, Psychology & Neuroscience, and is the marketing director for the KCL Neuroscience Society. In 2008 he founded the award-winning Psychedelics Society at the University of Kent. He has previously worked as a researcher in immunology at the National University of Singapore, a haemodialysis assistant for the NHS and as assistant to Amanda Fielding at the Beckley Foundation. At Beckley, he was signatory liaison officer for a public letter signed by 60 former heads of state, Nobel laureates and public figures. Dave has been involved in the organisation of conferences and lecture series at the University of Kent, University of Greenwich, King’s College London, National University of Singapore and the House of Lords. He is the co-editor of two books, with a third in press, and author of a number of journal articles, book chapters, open letters and literary pieces. 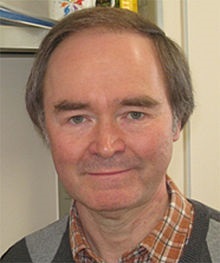 Director of the Scientific and Medical Network from 1986-2000. He is now Programme Director and continues to edit the Review. He is author and editor of over a dozen books, most recently ‘Radical Prince: the Practical Vision of the Prince of Wales’, ‘Science, Consciousness and Ultimate Reality’ ‘A New Renaissance’ and ‘The Protein Crunch’ (with Jason Drew). He is a Fellow of the International Futures Forum, Chief Consultant of Character Scotland, President of Wrekin Trust and a former President of the Swedenborg Society. He was educated at Eton and the Universities of St Andrews and Cambridge. After a spell in merchant banking, he spent a number of years teaching modern languages and philosophy at Winchester College. Profile: Purpose: To inspire people enhancing their life: To develop, implement and promote, methods, knowledge, products and solutions which enhance self awareness, open minded, well-being, and quality of life. To help people know and better understand their whole-selves, their relationships, their purpose, empowering them to improve their health, well-being and potential, and to achieve their goals, so enjoying a longer, healthier, happier enhanced fulfilled and meaningful life. To contribute to global mind change and promote a new paradigm that enhances mainstream science to include consciousness, and spirituality and creates bridges between business and values, between conventional medicine and integrated holistic health, and inspires people to be more open minded and enjoy meaningful life. Entrepreneur, established and managed several companies (one public in NASDAQ one in the London Stock Exchanged and 3 private, and software incubator which created tens companies.) in the areas of software, health, psychology and well-being. Founder of www.tohealth.com and www.mindLife.co.uk and Managing Trustee of an educational charity www.help2help.org.uk Director of Scientific and Medical Network domain – communication and content of the website. Nicholas is a Chartered Accountant and member of the Chartered Institute of Taxation. He has many years of experience in venture capital and corporate finance & structure and has acted as finance director for a number of client companies. He is a partner in Robert Fraser & Partners (2000 – to date), a boutique corporate finance house where he has been involved in the organization of finance, corporate structure and management of marine, power, management consultancy, hotel and media projects. He is the CFO of the Be Energy Group of companies (2010 – to date), which is an environmentally restorative group of companies, using a triple bottom line basis of operation which combines profitability, social justice and environmental sustainability. He is also a founder of web based companies Positive TV and Earth 2 which provides a platform for cutting edge technologies for a sustainable future. Nicholas is very interested in religion and philosophy and has always been interested in the relationship between science and spirituality; this is what attracted him to the SMN. 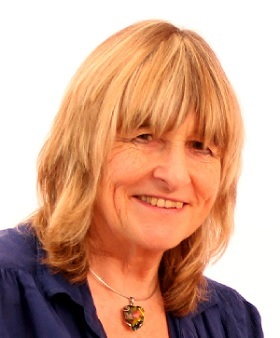 Joan is Senior Lecturer in the School of Education at York St John University, teaching Research Methods on the Masters programme, and supervising doctoral students. She is particularly interested in exploring the ontological and epistemological contexts within which approaches to research are located. This has led to her taking an active interest in the phenomenon of consciousness, which, to quote Christian de Quincey, is ‘our deepest mystery and our most intimate reality’. Joan, in collaboration with colleagues from both western and eastern cultures, are researching different ways of understanding consciousness. This also leads to a meaningful dialogue about various interpretations of science and spirituality, the relationship between them, and the significance of this discussion for the ontological and epistemological foundations of social and educational research. She draws on a wide range of disciplines, including quantum physics, biology, transpersonal psychology, and diverse spiritual traditions, to inform her research. Chiara is from Italy, has a PhD in literature, and over 10 years of administrative management, project management and sales and operations management experience. She has taught at university level and her most recent job was project managing English courses for a language school. She works 4 days a week at present. Due to Chiara’s direct experience, she will also support some of the schools & university outreach e.g., the Speaker Service. Chiara is thus our internal face, and will most likely be the person you will have spoken to if you phoned the office. However, Chiara is expecting her second child and will be on maternity leave for about six month from October 2017. 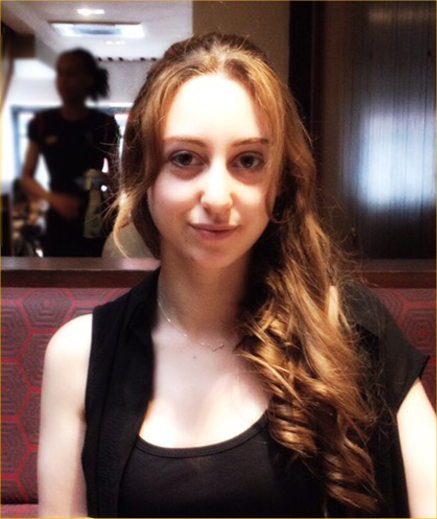 We wish Chiara all the best over the coming months, she will be missed! From September 2017, Lana took on Chiara’s duties and worked in the office until Chiara returned in April 2018. Lana is currently studying for her Alef Trust MSc in Professional Development (Consciousness, Spirituality and Transpersonal Psychology) from Middlesex. She is fluent in Japanese and has worked for Mitsubishi Materials, MSH Health and Wellbeing and in Tokyo with Global Power and Gaba Corporation. Born in India and educated at the universities of London, Sussex and Oxford, Dr. Edi Bilimoria presents an unusual blend of experience in the fields of science, arts and philosophy. In science and engineering, Edi has worked as a Consultant to the petrochemical, oil and gas, aerospace, transport, and construction industries. He has been Project Manager and Head of Design for major innovative projects such as the Channel Tunnel, London Underground systems and offshore installations. 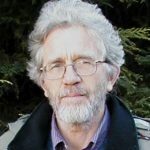 A student of the perennial philosophy for some forty years, Edi has given courses and lectured extensively in the UK, and internationally in California, The Netherlands, India and Australia. He has organized and chaired several major conferences. His written work has been published extensively in the fields of science, engineering and the esoteric philosophy. His book The Snake and the Rope was awarded the Network prize in 2008. He worked as Education Manager from 2009-11 for The Theosophical Society in Australia developing study courses and study papers, researching, lecturing and organizing international conferences. Additionally, he supervised the Campbell Theosophical Research Library, the National Media Library, the National Members Lending Library, and the development of the website. He is now deeply committed to the mission. I am a Senior Lecturer in Psychology at Greenwich University, specialising in adult development. I have recently written a book called ‘Development through Adulthood‘, published by Palgrave Macmillan. I help out with marketing and communications for the Scientific and Medical Network. The Network provides a forum where I can discuss both scientific and spiritual ideas in an atmosphere of friendliness, criticality and open-mindedness. I believe that science is brilliant but limited, and that where its limitations are reached, we find that mystical and spiritual ways of being and knowing have their niche in the search for Truth. I meditate regularly, enjoy spiritual dance practices, and find sustenance in silence and prayer. I have co-edited a book with David Lorimer entitled A New Renaissance: Transforming Science, Spirit and Society, published by Floris Books. The material within the book covers many of the areas that I find fascinating: the nature of mind and consciousness, the question of what it means to be spiritual, and the nature of modernity and the ‘transmodern shift’ that we are currently experiencing. Peter was educated at Trinity College Cambridge where he obtained an Honours Degree in Natural Science. His clinical medical training was carried out at St Thomas’s Hospital in London. After obtaining experience in neurosurgery he specialised in psychiatry. He is Senior Lecturer at the Institute of Psychiatry, Consultant Neurophysiologist at Radcliffe Infirmary in Oxford, and Honorary Consultant in Neurophysiology to Broadmoor Special Hospital. He has published numerous scientific papers on brain function and also several papers on meditation and altered states of consciousness. He is also President of the UK branch of the International Association of Near-Death Studies, reflecting his special interest in this field. He lectures widely in England, on the Continent and in the US on brain disorders and has made many appearances on radio and television. His most recent book is The Truth in the Light. My interests span science, religion and psychical research (which I see as forming a bridge between them). All three activities date back to my undergraduate days at Cambridge , where I read mathematics and was later a Fellow at Trinity College , and all three fall within the remit of the SMN. My professional area of research is cosmology – for my PhD I studied the first second of the universe under Stephen Hawking – and includes such topics as the early universe, dark matter and the anthropic principle. In 1985 I moved to London University, where I am now Professor of Mathematics and Astronomy at Queen Mary. I have a long-standing interest in the relationship between science and religion, giving frequent talks in this area, and was recently awarded a Templeton grant to organize a series of conferences on the evidence for cosmological fine-tuning. This has led to a book, entitled “Universe or Multiverse”, which I edited. I have been a member of the Society for Psychical Research for some 30 years, serving as its President in the period 2000-2004. My approach to the subject is mainly theoretical: I’m particularly keen to extend physics to incorporate consciousness and associated mental and spiritual phenomena. The SMN is unique in being broad enough to accommodate all three of my activities and I’m delighted to be currently serving on the Programming Committee. Diana Clift, MA, (Oxon), M.Phil., A.I.P.T.I. Formerly a neurochemist, now a therapist and musician, Di has served on the Network Council for nearly fifteen years, including two months last Summer as acting chairman. She is an enthusiastic proponent of openminded science and suspicious of New Age beliefs, but loves the Network for its diversity and the informal networking known as partying! I was born in Brazil and came to the UK in my twenties. Here I married, and brought up my three boys, now all grown up. Throughout my adult life I worked in a variety of industries and in my 40’s went back to Psychology – studied in Brazil – and retrained in psychotherapy. My interests are all connected with my passion for life and living and I see human beings as an expression of a meaningful Universe. I currently run the London local group of the SMN. 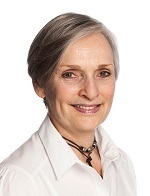 Marilyn Monk is an academic research scientist in the fields of molecular biology, early development and cancer. She is Emeritus Professor of Molecular Embryology at UCL London and, previously, Honorary Professor at University of Melbourne, and Adjunct Professor at Monash University in Australia. 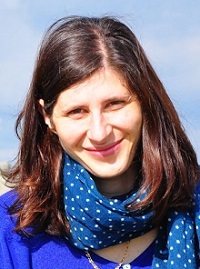 Her research covers DNA replication and repair in bacteria, cell signalling and aggregation of slime mould amoebae, and gene expression and its regulation by epigenetic modification in mammalian development, Among her discoveries are mechanisms of epigenetic programming of gene expression, deprogramming and re-programming in development, epigenetic environmental adaptation (Lamarckian inheritance), and embryonic gene expression in cancers. Her group developed a wide range of single cell molecular techniques to study gene expression, gene modification, and gene mutation at the sensitivity of the single cell. Clinical applications include early diagnosis of genetic disease, stem cells and regenerative medicine, and a search for a possible cancer vaccine targeting embryonic gene expression in cancers. 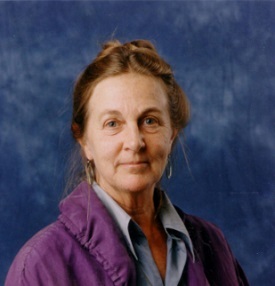 In addition to her scientific career, she has a longstanding interest in the arts, psychology and mysticism. She is qualified as a Psychosynthesis Counsellor and an Alexander Technique Teacher. Marilyn has been a member of SMN since the 80’s, a member of the SMN Board for 7 years, and a regular contributor to the SMN review. In everyday life I’m a senior producer in the BBC Radio Science Unit, where I’ve worked for 20 years. I joined the Beeb with a Geology degree from University College London, where I spent more time than I should staging student plays and operas. Most of my broadcasting has been for World Service, but I do a lot on Radio 4 too. It’s mostly conventional science news and features, but I try where I can to include deeper aspects of cosmology, the nature of consciousness, spirituality and the interface between science and religion. For example, I made three features on science and religion based around the Templeton- sponsored ‘Science and the Spiritual Quest’ conference last October. I am an active member of ‘The Study Society’ where I learnt meditation and study the non-dualistic or Advaita system of philosophy. I also enjoy the countryside and its wildlife, archaeology and pottering around my large garden in Kent. 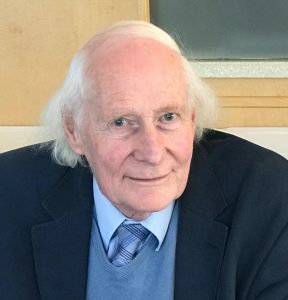 Professor John Clarke BA, MA is a Vice-President of the SMN, having been on the Board of Directors and Chair of the Board, and a long-time member of the Network. He has taught philosophy at various universities abroad and in the UK, and retired some years ago as Professor in the History of Ideas. His most recent book, The Self-Creating Universe: the Making of a Worldview, is a study of emergentism as a way of bringing science and spirituality together in a philosophical synthesis.